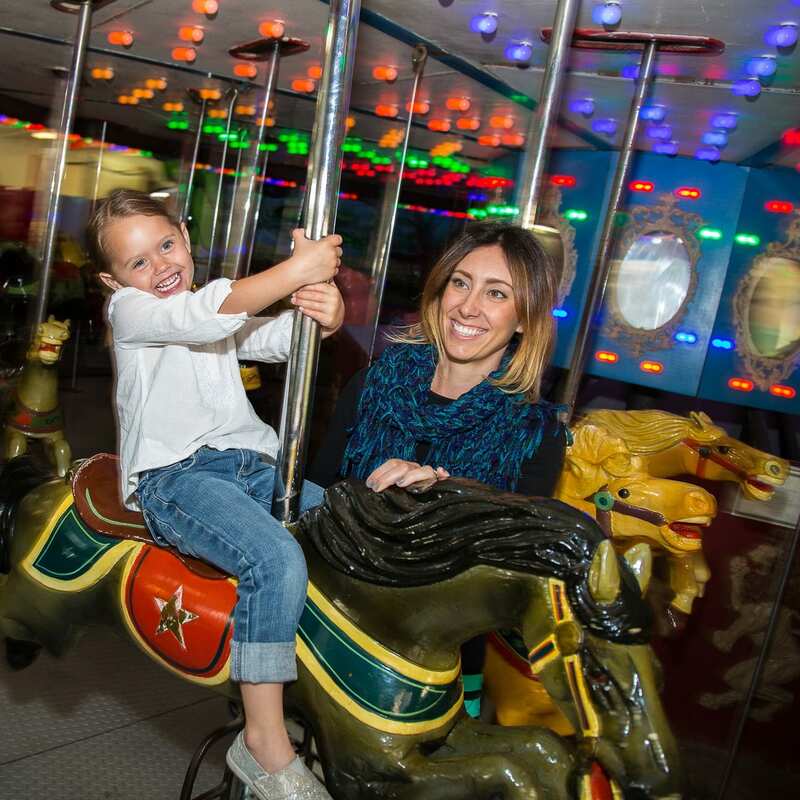 The Village Carousel & Arcade offers a fun, family experience that showcases an indoor Carousel, and an Arcade with the latest video and ticket redemption games for all ages. We also offer a snack bar where we make our homemade fudge, caramel apples, popcorn, cotton candy, snow cones and more. Check out our party packages and inexpensive souvenirs. Come enjoy Ventura County’s best kept secret, right in Ventura Harbor. Have a birthday party coming up? The Village Carousel has a private Party Room that is available for rent! With room for up to 50 people, it’s the perfect place to celebrate. You’ll have your choice of hotdogs made here at the Carousel or pizza from our friends at Milano’s Italian Restaurant. Along with food, participants get rides on the carousel, a balloon and game tokens to spend in the arcade. For reservations, give us a call (805) 644-3234 and save your spot today!